Welcome to Belmont! This custom Post and Beam home is situated with vineyard views. 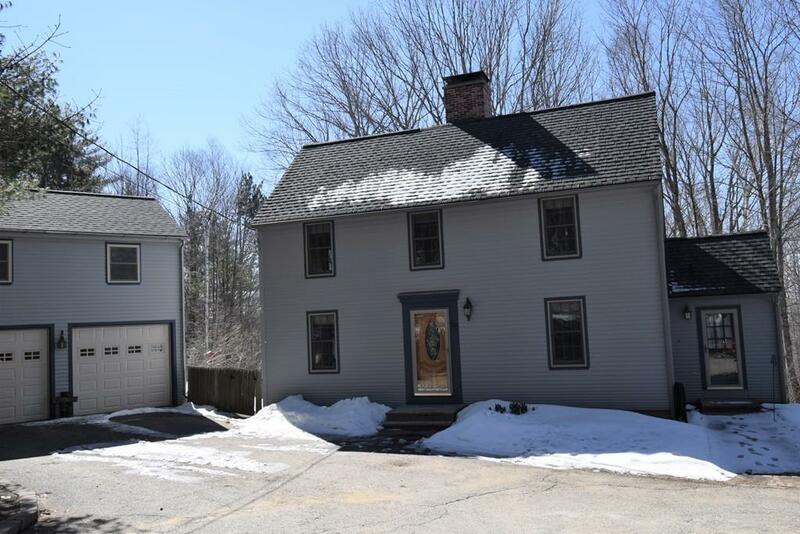 This beautifully maintained home has many upgrades including granite throughout, Andersen Windows throughout, new interior and exterior paint, newer roof, updated Veissman propane heating system, a heated 2 car garage, garden shed and so much more! The livingroom boasts a top of the line Rumford fireplace with a granite hearth and wide pine flooring with a view of a spectacular hillside. Off the living/ ding room you walk out onto an expansive composite deck surrounded by nature and a set of stairs leading to a fenced-in yard. The walk out basement has plenty of storage space as well as a bonus area that could be used for a playroom, office or hobby area. The town of Belmont is home to the award winning Shaker Regional School District, Lake Winnesquam Scenic Trail System, and endless recreational opportunities. There is so much to see in this home, please join us April 6th for an Open House from 11-1. Listing courtesy of Lynne Merrill of The Merrill Bartlett Group. Listing provided courtesy of Lynne Merrill of The Merrill Bartlett Group.